A quick glance at the number of cricket games completed recently or being played around the world could well explain why cricket fans the world over have smiles on their faces. For admirers of the classic and traditional form of cricket, the ongoing tussle between Pakistan and Australia would be akin to manna from heavens. For those who look for something a bit racier, England’s tour of Sri Lanka could well be providing the adrenalin rush they so desire. And if the fast-paced world of league's cricket is someone’s cup of tea, then they can look no further than the ongoing Afghanistan Premier League which is currently in its final stages in Sharjah, UAE. Whilst the plethora of similar themed leagues could well appear to be killing the novelty factor of such tournaments, the recent excitement about the achievement by Hazratullah Zazai where he hit six sixes in an over during an APL game would have served as a good reminder that Twenty20 cricket in any part of the world seems to capture the imagination of the audiences like no other form of the game. The Asia Cup tournament served as an eye-opener for many observers as it showed what great progress the Afghanistan side had made in recent times. Their ability to take Pakistan to the last over of their Super-4 clash and then to fashion a tie against the eventual trophy winners India showed clearly that Afghanistan were an opposition not to be taken lightly. To Mitchell McClenaghan, there is no doubt about the quality of Afghanistan players as he has seen them perform first-hand during the APL. Not too far away from Sharjah, the Test series between Pakistan and Australia is in progress with the hosts looking to be holding the upper-hand in the final Test in their ‘home’ in the UAE. The New Zealand side will be the next opponents for Pakistan in the UAE and as expected, the series holds special interest for Mitchell McClenaghan who last played an ODI against the hosts in 2016. Historically speaking, spinners have been Pakistan’s main weapon of choice in the UAE and this is an area where visiting sides such as New Zealand have struggled to counter the home side’s superiority in the past, but as McClenaghan explained, all that could change soon. 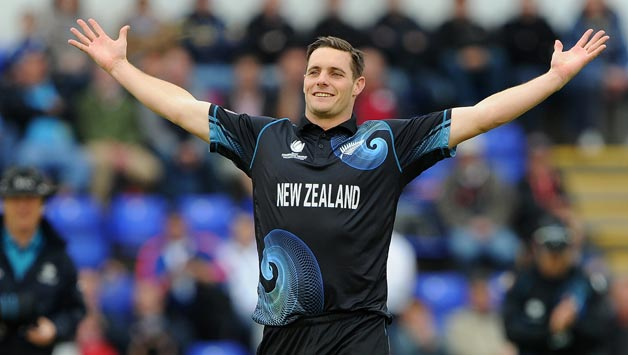 Mitchell McClenaghan last represented New Zealand in the World T20 in India in 2016 and apart from an outing with the World XI in May of this year, has not been a part of the national side for a long period. Whilst the APL may not be regarded as a competition at the same level as many other established leagues, the tournament does provide the Kiwi an opportunity to work on some important aspects of his game and possibly a chance to be noticed by national selectors. After his stint with the Nangarhar Leopards in the APL, Mitchell McClenaghan is heading home where he will be aiming to play more cricket and put in enough good performances to make himself a much more sought-after commodity in league cricket with another stint in the highly competitive IPL as his main goal. He said, “I am looking forward to spending time at home this summer in New Zealand. The idea is to play some 50-over cricket and then join my team Auckland Aces for the 2018-2019 season of Super Smash. This is a young side so I am hoping to get stuck in there and helping them out by bringing all my experience to bear. After that I am looking to get back into IPL for the 2019 edition of the tournament. I was brought in as a replacement for injured Jason Behrendorff by the Mumbai Indians in 2018 but hopefully I will get a proper chance and be picked as an overseas bowler next time,” he concluded.